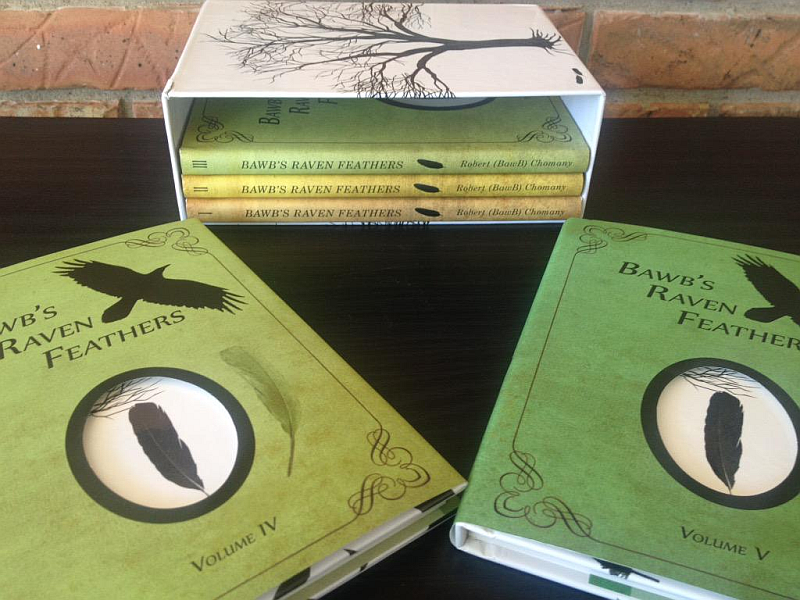 I was sent an absolutely beautiful BawB’s Raven Feathers Box Set a while back to review on Self Help Daily. While I told everyone I knew about it right away, I actually put off blogging about it for awhile simply because I wanted to get a little closer to Christmas shopping. These books – whether you buy them as a set or individually for stocking stuffers or for filling in gift baskets – would make perfect gifts. They’re beautiful, timeless, inspiring, and would be cherished for years to come. One of the things I love most about giving books for gifts is the fact they can be used and enjoyed and re-used and re-enjoyed for years and years. Want to know a beautiful little bonus? They’ll think of you each time they pick the book up! 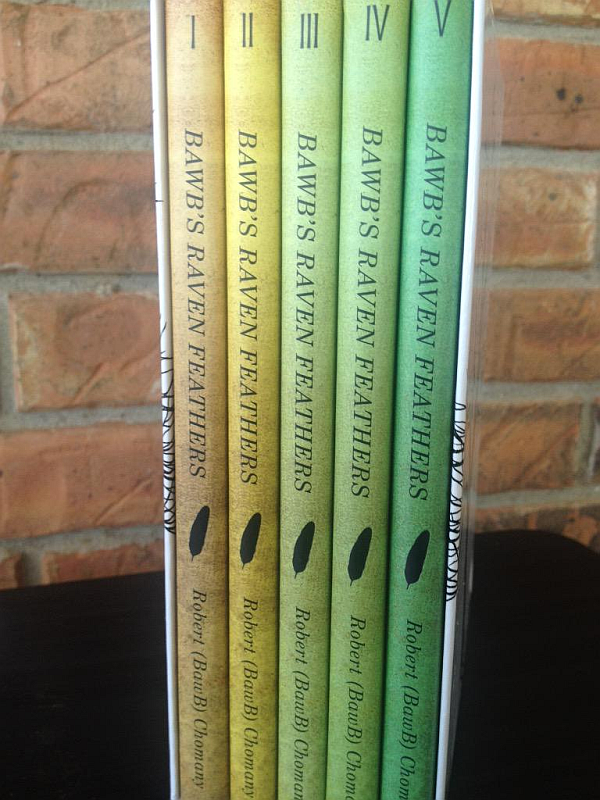 The BawB’s Raven Feathers Box Set I was sent includes Volume I – V – the first five volumes of BawB’s Raven Feathers. Each beautiful little hard-cover book is filled with inspirational poetry that will surround you with peace and contentment as you read the words. Truth be told, they’re more like beautiful lyrics than words. Everything about these books is perfect – from the beautiful illustrations to the equally beautiful words. The author does more than inspire readers, he causes them to reflect on their lives, their choices, and the world around them. His words then prompt the reader to cherish the past and relish the present, while looking forward to a future that’s filled with hope. Yes, the books are that wonderful. Bawb’s Raven Feathers is pure and simple. It kick-starts moments of self-reflection and inner peace by drawing on nostalgia and pushing the reader to live in the present and dream of tomorrow. Alternating brief chapters of prose with perfectly rhythmic adult rhymes, and room to write down your own thoughts and inspiring ideas, this book holds appeal for the masses. Whether you buy the volumes individually or as a set and whether you buy them for yourself or as a gift – you’re going to love each moment spent with BawB and his Raven Feathers. 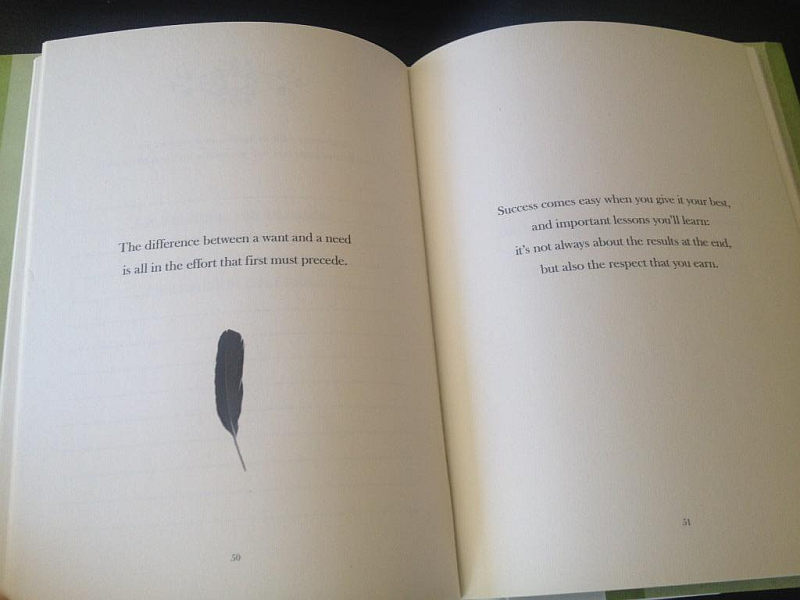 Robert (BawB) Chomany is the author of the BawB’s Raven Feathers series, pure and simple inspirational books. He was born in Calgary, Alberta, with a clear view of the mountains to the west. These mountains eventually drew Bob in, and he spent many years living in the company of nature, exploring his spiritual side. Bob pursues his many interests with passion. You are just as likely to find him twisting a wrench, or riding his motorcycle, as you are to find him holding a pen, writing. Bob still lives in Calgary, where he finds happiness by simply living with a smile and sharing his words of wisdom with others. The books are available individually, as well. Below is a link to each volume for more information. There’s also a BawB’s Raven Feathers Volume VI which I don’t have yet… but plan on getting. Previous Post: « Infographic: Perfectionism… Is it a Good or Bad Thing?! What a beautiful review. As an author, one thing I know for true is that whom the reviewer is comes shining through in a book review. Not that bad reviews are necessarily personal :), but I love reading reviews of my books and gleaning something about the person penning it. I love the sound of these and will be purchasing them, and I just love you voice.